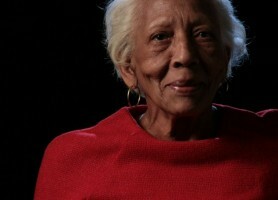 International jewel thief Doris Payne, now 84, has a criminal history that dates back to the 1950s. Tig Notaro had a double mastectomy. She's mostly known for a half-hour standup routine she did about her breast cancer. So when a heckler catcalled her during her set, she ripped her shirt off and did the rest of the set without it. Gwar’s newest frontwoman is a “Spiky Purple Amazon” named Vulvatron “She’s nobody’s girlfriend, or groupie or background dancer; Vulvatron is in charge. She gets to be a monster instead of a princess, and that is immensely important for younger girls who are just starting to explore heavy metal.” (via the Mary Sue) YOU GUYS. VULVATRON. In 1915, this rowdy Puerto Rican activist was arrested for wearing pants in public. It wouldn't be the last time she wore pants, or got arrested. So here's a wild story: lesbian (possibly trans) Burmese princess becomes opium-trading warlord to escape arranged marriage. Russia's greatest female thief was so slippery that even once she was re-captured after escaping from a Siberian prison, nobody was totally sure it was her. As a Holocaust survivor, her poetry was too dark for some, but it was perfect for death metal. This leader of the labor movement suffered imprisonment, defamation, and untold misery to battle against forces that most of us just take for granted. One of the most famous women in American history, this hyper-capable Shoshone woman walked across America with a baby strapped to her back, in order to map it. This audacious black gangster fought the Italian mob for control of Harlem and won, taunting them in full-page newspaper ads as she went. Indomitable pirate queen who ran Morocco and ruined Portuguese trade. This Sikh warrior saint led 40 deserters back into battle and in so doing, possibly saved her entire religion from extinction. Eustaquia de Souza and Ana Lezama de Urinza, two sword-and-gun-toting lesbian teen vigilantes - 17th century Bolivia's answer to Batman. When the most powerful man in the world made plans on her country, she: turned down his marriage proposal, destroyed his armies, and defiled his head so famously that she became legend for centuries thereafter.